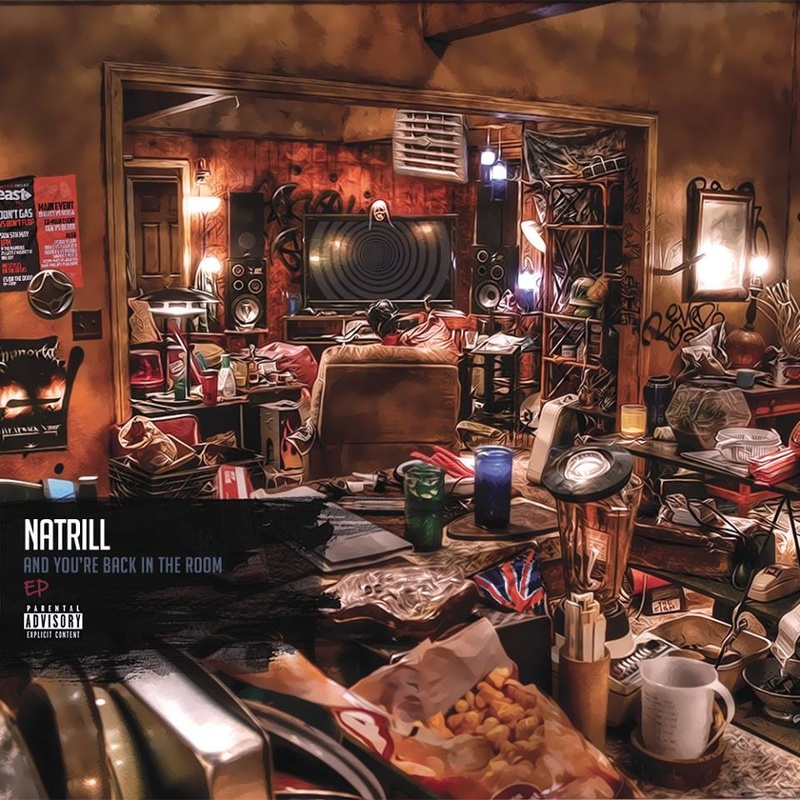 Recently we received Norwich based emcee Natrill’s latest release ‘And You’re Back In The Room’ EP for review. In all honesty I hadn’t heard of him before, but had seen the EP receive praise from various blogs around the time it was released earlier in January, and looked forward to checking it. With solid production from Dan Griffiths, Anno Domini, Elbe Kim and High Focus heavyweight Leaf Dog providing the backdrop for Natrill’s clever rhymes and confident delivery, the EP is a nice head nodder to sit back and vibe too. Natrill’s skills on the mic are undeniable, and with some complex rhymes and references you’ll want to listen again to catch some new bars you missed the first time, which can only be a good thing. As well as showcasing his skills on the mic, Natrill also addresses topics such as the reality of the perceived holy grail of making it in the ‘scene’, and his refusal to compromise himself to get there on the track ‘Dreams’. He also discusses the constant mission for, and obsession with cash on ‘Money’. Natrill is an MC whose ego-free and honest style will endear him to the listener, and this is best demonstrated on ‘Making Music’ where he professes that he isn’t ‘here to make you change, ‘I’m just making music’. My personal favourite is the bonus track ‘Drops’, where Natrill goes in over a funky but banging beat. All in all this is a solid release, with some clever rhymes, good interpretation of subject matter, and tight flows and delivery. Natrill has a bright future ahead of him and I’ll definitley be checking for future releases. You can stream and download Natrill’s ‘And You’re Back In The Room’ EP at his Bandcamp page.